For many businesses, financing cash flow is a hard task. Sometimes the business sales go down and other times they are at a peak. The same happens to the margins, sometimes they are good, other times they flatten out. If you do not have the right information to manage your cash flow, the cash flow starts behaving in an unpredictable matter. 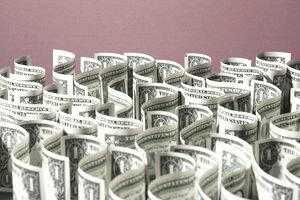 This article will cover some of the ways that a business can finance its cash flow. Before covering this subject, we would like to first define cash flow based financing. This is a form of financing in which a loan is backed by a company's existing and expected cash flow. This loan is very different from asset-backed loans where the collateral of the loan is based on your business assets. When you take a cash flow based loan, the repayments are going to be based on your business-projected cash flows. The debt covenants of these kinds of loans are focused on manageable levels of interest rates. Before considering a cash flow based financing loan, here are some of the ways to keep your business cash flow in check. Regardless of whether you have made substantial profit or loss during the year, always make sure that you know the exact amount of funds that you need to cover the recurring and scheduled operating costs. Ensure you do this monthly for you to have a basis for cash flow decision making. Based on where you are right now, you need to determine the amount of funds you have in cash, the outside cash that you can invest in your business, and any other outside sources that you have put in place. Projecting your cash flow will help you in entering the fixed cost, accounts receivables and existing accounts payable into the future weeks and months realistically. If your cash is usually too tight it is better to do your cash flow weekly. It is important to understand that financing cash flow is somewhat unique for each business depending on the industry, business size, stage of business, model size, owner's resources, among other factors. For this reason it is important for each business to self access its resources of financing cash flow, including owner investment, government remittances, trade or payable financing, deposits on sale, receivable discounts for early payment, business credit cards, third-party financing (business line of credit, factoring, term loan, inventory financing, purchase order financing or whatever else that is relevant to you. First, it is very important to understand that financing your cash flow doesn’t necessarily mean that you are going to get a loan in the amount needed. This type of financing helps you to develop a process to keep your cash flow continuously positive at the lowest cost possible. Remember if it is not possible to generate cash flow unless a business makes complete sales and collects the proceeds, there is no ROI to measure. For this reason, if your company has fluctuating margins and sales, only enter into transactions that you can finance. In addition, financing your cash flow will help you to focus on the needs of the customers that you can make repetitive sales in order to maximize your marketing effort while reducing the unpredictability of the annual sales cycle. In conclusion, it is very important to look for the most appropriate revenue-based financing program to suit your business needs. Using cash flow based financing will assist your business to seek more funds for operation or make other major purchases. Remember, the appropriate financing option will assist your business to borrow from expected cash flow in the future, thus helping you to obtain the funds today rather than a certain point in the future. Cash flow based financing may help you in meeting timely operational expenditures such as meeting payroll. It is also very important to have a continuous focus on the process of cash flow improvement to help you in achieving the desired results over time.